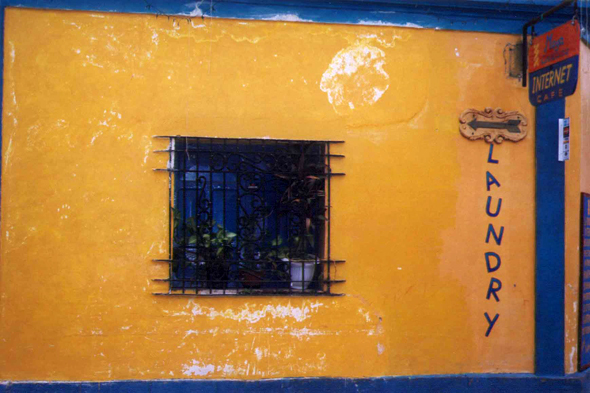 A typical window of the town of Copán. The Hispanic city forsook the resources of the karstic rock of the Mayas. They then preferred to use clay, a very insulating material used unfired for the walls (adobe), firing brick, tile and decorative ceramics.